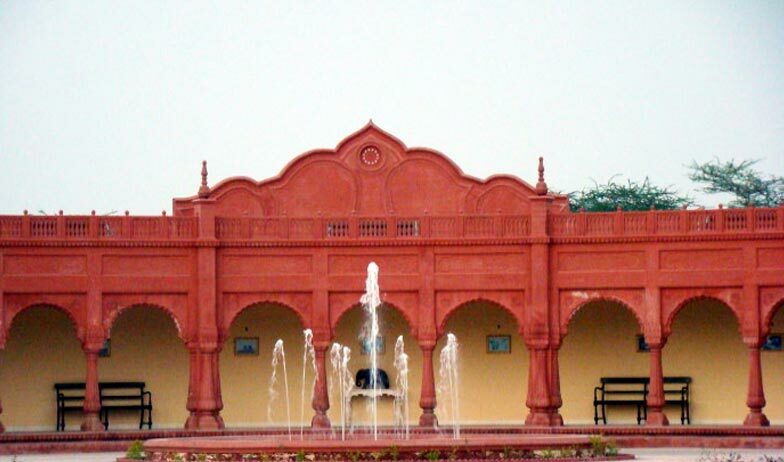 Gaj Kesri is a four star heritage hotel located on the bypass road near the Camel Breeding Farm and Royal Cenotaphs at Sagar. 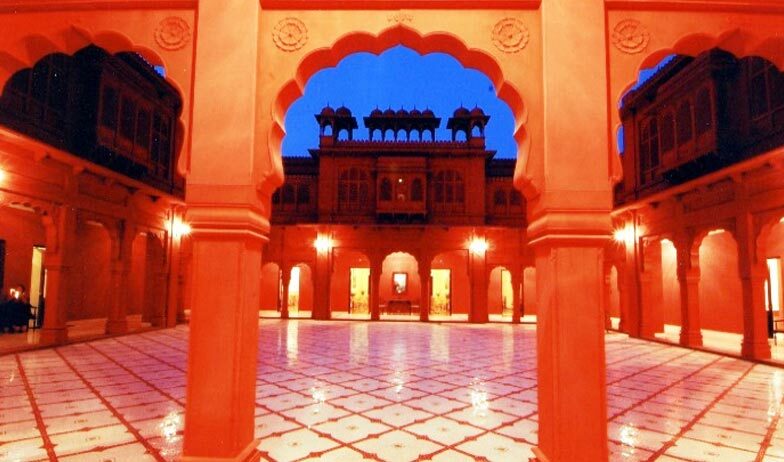 The Hotel is set in Rajasthani palace style and has royal architecture that compliments the charming décor of the building. The hotel has two basic accommodation options i.e Deluxe rooms and Standard rooms, both of which are tailored to give guests first-hand experience of the royal hospitality that Rajasthan is known for. The rooms are equipped with all the modern day comfort creatures and amenities to ensure comfortable stay for the patrons. There is also an in house restaurant to cater to the culinary needs of clients. The eatery specializes in local cuisine along with popular global dishes. Gaj Kesari has developed host of other facilities and features to ensure that the hotel becomes your all in one solution for vacation needs. These include crib and babysitting facility, travel desk, currency exchange facility, swimming pool, library, sitting room, gift shop, Spa and massage treatment center, sightseeing facilities, car rentals and taxi booking facility. 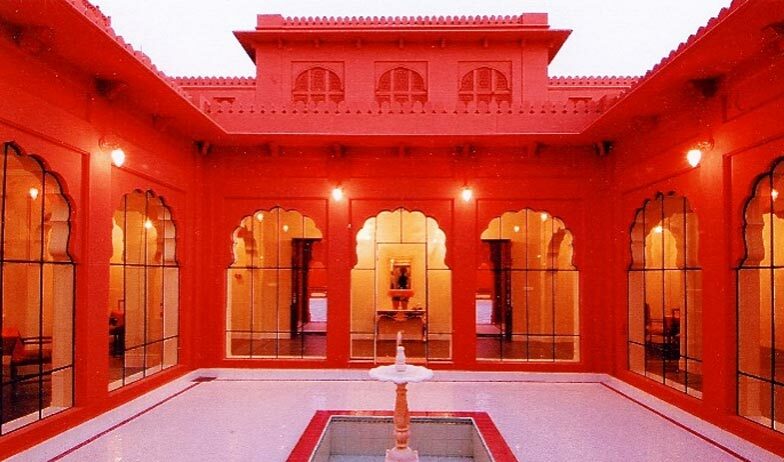 To offers patrons a glimpse of Rajasthani culture the hotel organizes horse riding trips, picnics and live music performances and puppet shows on special request from guests. There is a small conference hall in the hotel which can be an ideal venue for business or social events. 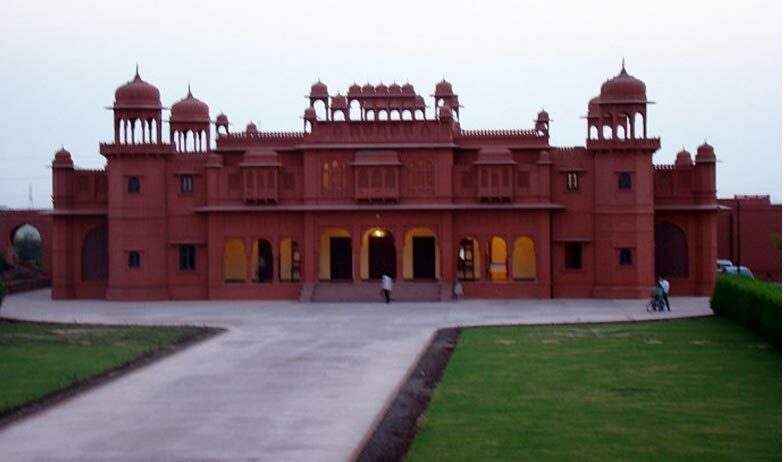 Deluxe rooms are the finest accommodation option offered by the heritage hotel Gaj Kesri located in Bikaner. 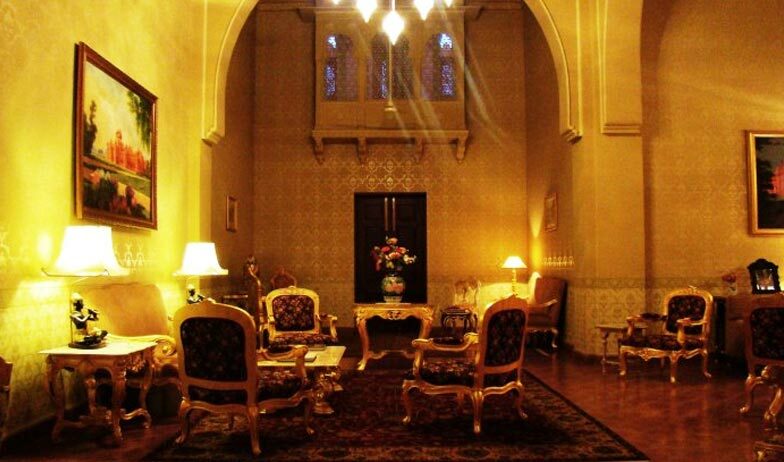 These rooms are part of the original palace complex and therefore have the regal architecture and décor which impresses both local as well as foreign guests. The walls are adorned with photo frames and paintings from by gone era that further enhances the charm of these rooms. Equipped with superior in room amenities such as air conditioning, comfortable bed with Rajasthani block printed fabric spread, tea and coffee maker, mini bar, color television with premium channels and a private bathroom. The majestic décor and long list of amenities have helped Deluxe room earn rave reviews from guests visiting the hotel. 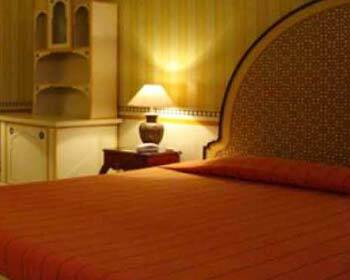 Standard Rooms are the basic accommodation option offered by heritage hotel Gaj Kesri. The rooms have simple but elegant décor that reminds guests of the life and times of Kings and Queens. 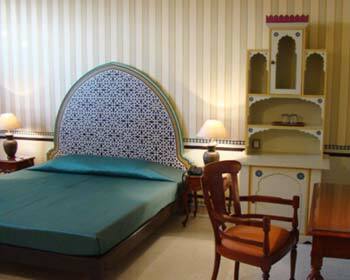 On amenities front, the rooms are equipped with air conditioning, antique bed with comfortable mattress and finest block printed Rajasthani fabric spread, color television with premium channels, writing desk, tea and coffee maker, mini bar and private bathroom with hot and cold running water. 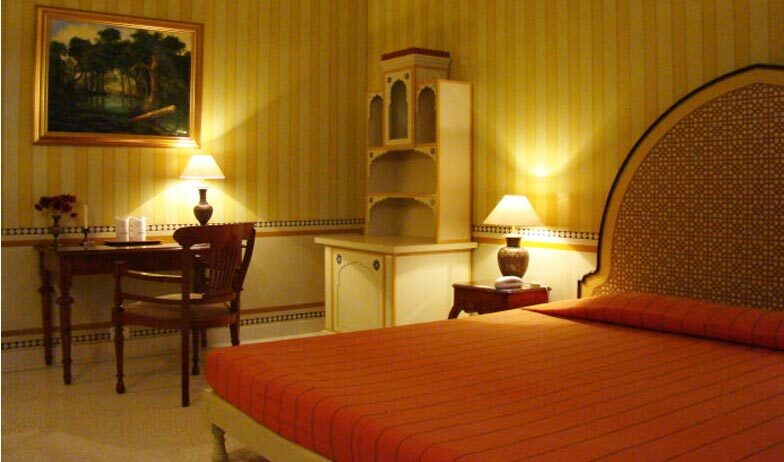 The simplicity fused with regal elegance is what makes these rooms click with both tourists and business travelers. Gaj Kesari Hotel features a total of 45 wonderfully done up deluxe rooms that apart from being gorgeously done up are also complete with a host of in-room amenities that are designed to provide optimum comfort to the guests. These amenities comprise of air-conditioner, attached bath with running hot and cold water, television, tea and coffee maker and hair dryer. The stunning decor of the rooms exude elegance and stand for impeccable and refined taste. 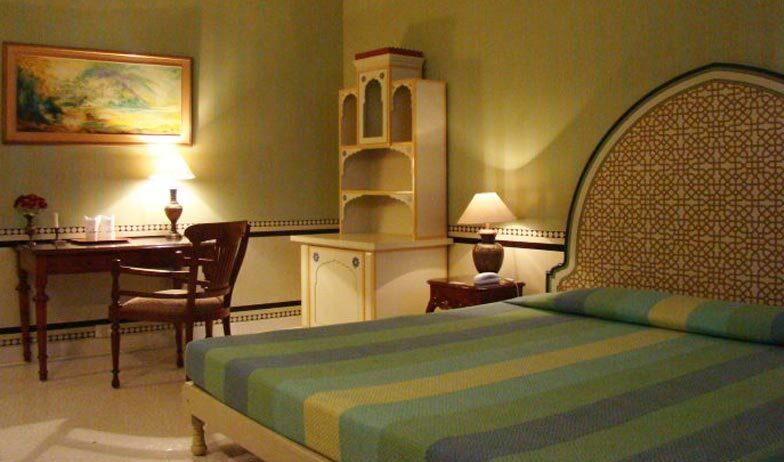 In keeping with the quintessential 'palace' style, the rooms are furnished with the finest block printed fabrics. Rajasthan has always been known for its rich culinary culture, taking this tradition further is the in house restaurant at Hotel Gaj Kesri, Bikaner. The restaurant is set in palatial décor that fill the place with regal aura and gives patrons a chance to experience royal hospitality. Serving delicacies from local cuisines, the eatery has earned name and fame in the city. Patrons can also order popular dishes from other global cuisines like Continental, Chinese and main stream Indian food here. 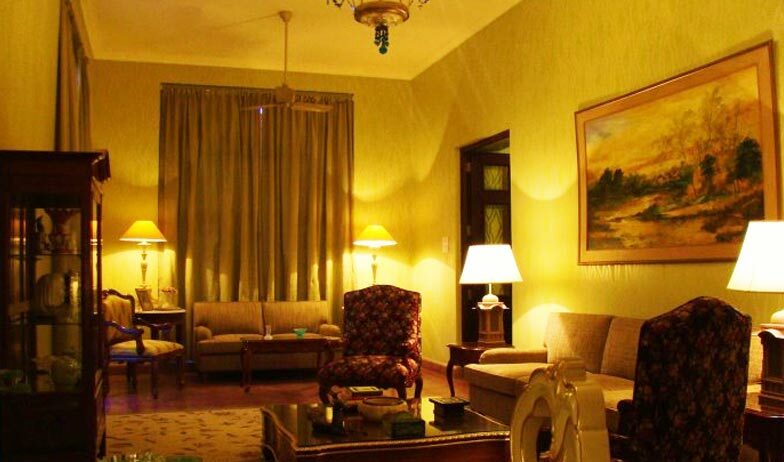 Guests can enjoy their dinner also in the sprawling lawns or in the comfort of their room.